If you’ve never tried making your own spice blends, it’s time to change this situation. Why? First, because switching to homemade seasonings can improve your health, as these mixes don’t include chemical additives. Second, it can also save you money, because they’re inevitably cheaper than the store-bought alternatives. 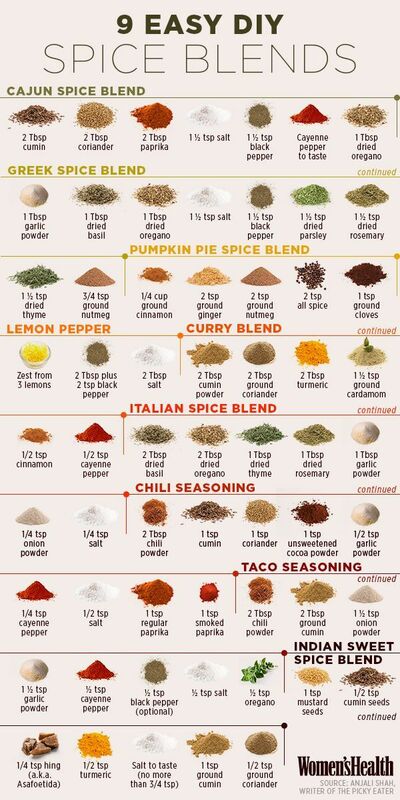 The infographic below will help you with creating your own, completely healthy and chemical-free spice blends. Simply choose your favorites and get started! Did you find this infographic helpful? Don’t forget to share your thoughts in the comment section down below!